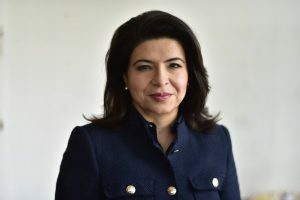 Washington, DC-The Iranian American Political Action Committee (IAPAC), the connected PAC of the Public Affairs Alliance of Iranian Americans proudly announces its support for Anna Kaplan for New York State Senate. Anna Monahemi Kaplan is an active community member, mother, and councilmember. Born in Tabriz, Iran, Kaplan came to the U.S. as a political refugee when she was 13 years old. She was cared for by families across the U.S. in foster care until her family was able to safely make it here. Kaplan graduated from Yeshiva University’s Stern College for Women with a bachelor’s degree and went on to the Benjamin N. Cardozo School of Law for her law degree. Kaplan is married with two daughters and currently lives in Great Neck, New York. She is an active participant in community affairs, serving as Town of North Hempstead Councilwoman for the Fourth District, a member on the local Board of Zoning Appeals, and a member of the Great Neck Library Board. Now, she is taking her passion for improving and giving back to her community to the state level, running as the democratic candidate for New York’s 7th District’s State Senate seat. Kaplan is competing to unseat first term State Senator Elaine Phillips (R-NY). The election is considered to be the most critical race to determine which party will control the New York state legislature. 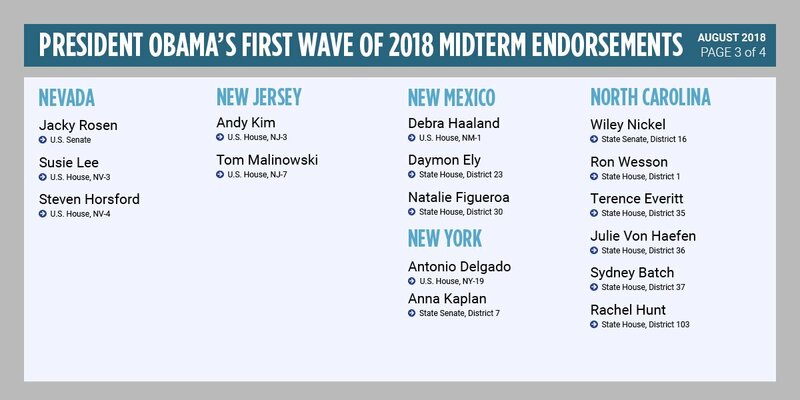 Kaplan’s campaign has been endorsed by numerous elected officials and organizations including former President Barack Obama, Governor of New York Andrew Cuomo, the AFL-CIO of New York, the National Organization for Women, and many more. Recently, PAAIA had the opportunity to interview Kaplan about her campaign. If successful she will become the first Iranian American elected to the State office in New York. PAAIA: What inspired you to run for public office? Anna Kaplan: I want to give back to the State and Country that gave me so much as a young girl who came here without her parents. We are in a critical time and we need to be sure our elected officials are a voice for the community they represent, rather than special interest groups. Now is the time to stand together and push back against the hateful rhetoric dominating our political culture. PAAIA: What are the most critical issues facing your city/district today? Anna Kaplan: The constant threat of gun violence in our schools, houses of worship and other public spaces is an issue that many in the district, especially many students, feel is necessary to address. In addition, families pay way too much in property taxes, without getting nearly enough back to fund our schools, infrastructure and transportation. PAAIA: How does your campaign plan on addressing some of those issues? Anna Kaplan: We have proposed passing longer wait periods for individuals purchasing a firearm and a statewide ban on bumpstocks. These tools do nothing to enable hunters or hobbyists, but rather enable dangerous individuals looking to kill a high number of people to do so quickly and easily. I am also in favor of creating a safety net to make up for the elimination of State and Local Tax deductions brought into law by the Republican-controlled Congress to punish states like New York. PAAIA: What are some of the challenges you believe your campaign committee must overcome to mount a successful campaign? Anna Kaplan: As with any grassroots campaign, we are competing against an incumbent who is having millions of dollars funneled into her campaign. PAAIA: What role do you think Iranian Americans can play in your campaign? Anna Kaplan: There is a need for Iranian Americans, and other immigrant populations, to get more involved in the politics of their community, neighborhood, county and state. Populations such as the Iranian American community are severely under-represented at all levels of government. As an Iranian political refugee, I feel my story is deeply tied to my views on policy and governing. We need more individuals with these perspectives to have a seat at the table.